The annual Income Eco Run (IER) is back once again! Southeast Asia’s premier eco run will return with new initiatives to encourage participants to continue their journey towards zero waste. These initiatives include reducing the waste of single-use plastic products and the use of clean energy. Income is taking a bold step to eliminate the use of plastic-lined paper cups at hydration points and replacing them with reusable cups at their newly introduced Zero Waste 5km Run, where all participants of the category will be Zero Waste Runners. With this move, it is estimated that Income can save up to 20,000 paper cups that will amount to a reduction of 60,000kg in waste produced during the race. To further reduce single-use plastic, plastic-lined running bibs for Zero-Waste 5km Run will be replaced with recyclable paper wristbands and plastic packaging will be removed from all running singlets, including finisher tees for all runners. 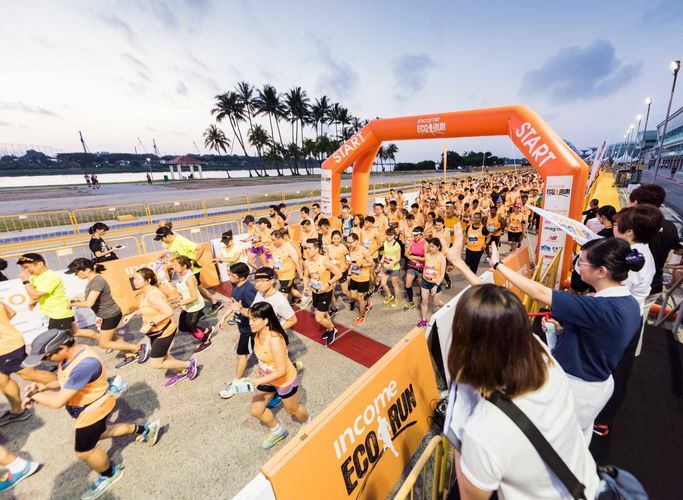 Super early bird registration for Income Eco Run 2019 is now open with attractive rates. Race categories at Income Eco Run 2019 include the new Zero Waste 5km distance for participants 13 years and above, two distances for children—800m for those aged four to eight years old, and 1.2km for those aged nine to twelve years. Other categories include 10km individual and mixed team 21.1km Half Marathon. Sign up to secure your slot in the race and march your way to a zero-waste lifestyle!